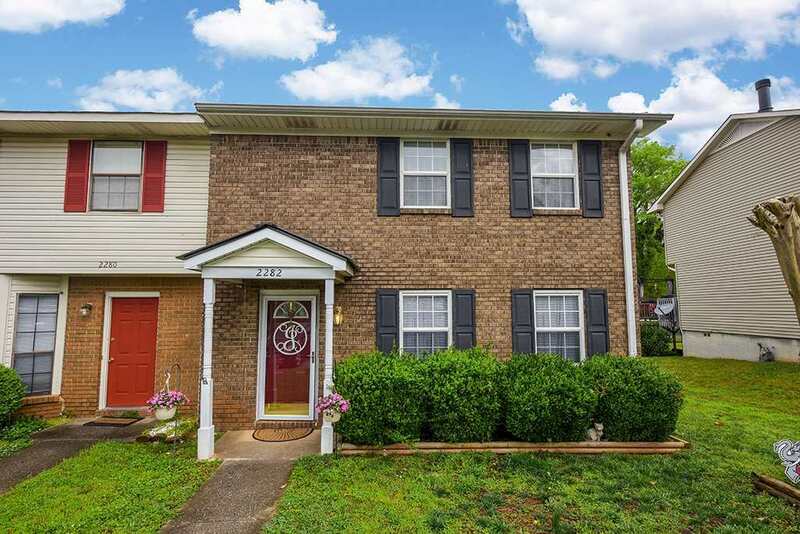 2282 Cheshire Dr, Birmingham, AL.| MLS# 846313 | Richard Jacks UABLIVING.com 205-910-2297 | Birmingham AL Real Estate | Contact us to request more information about our Homes for Sale in the Birmingham AL area. You will not want to miss out on this amazing END UNIT Townhouse. Perfectly placed landscaping that is easy to maintain creates beautiful curbside appeal. Step inside to stunning wood floors, high ceilings, and an abundance of natural sunlight. The Kitchen is very large and boasts a plethora of cabinetry, counter space, and plenty of room for a large table. The spacious Master Bedroom with 2 large closets has a detailed private bath. Each additional bedroom offers plenty of space. The backyard is fully fenced and perfect for all your outdoor enjoyment. Enjoy low maintenance with a metal roof, vinyl siding, and brick exterior plus the remaining shed offers extra storage. Come and see all that this wonderful home has to offer! Driving Directions: -59 N Toward Gadsden. Take Exit 141 Toward Pinson/Center Point. Turn Left On To County Hwy 10/Chalkville Rd. Turn Left Onto Grayson Valley Dr. Take First Left Onto Hampstead Dr. Take First Right Onto Cheshire Dr. Home On Right.